To start, we'll recap the most recent patches and share details on the return of Infection – which also offers a chance to earn a sweet new custom Flood nameplate! 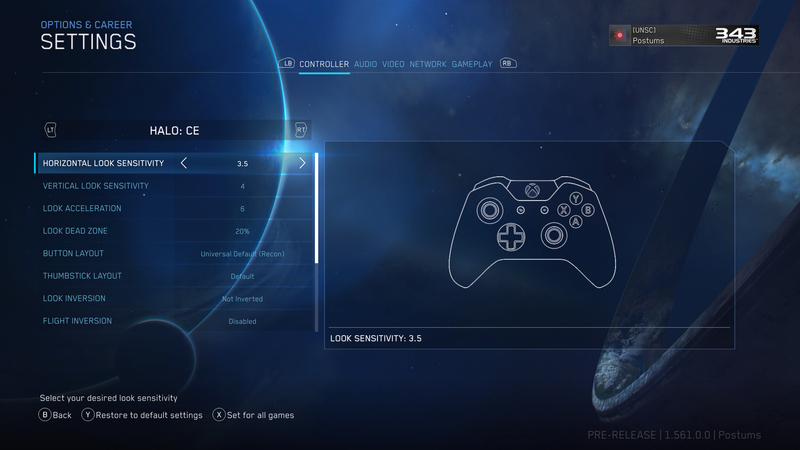 Next, we'll cover details for an all-new feature coming to MCC called the “Match Composer” along with new, expanded controller customization settings - both of which will be coming to an Insider build for the community to test and share feedback later this week. Lastly, we’ll touch on additional future features in development, take an engineering deep-dive with our man in the trenches Sean “The Scoop” Cooper, and go over the process the team uses to gather your detailed feedback and the best ways to share your input. Let’s dive in and take a look at what’s on tap! The Oct 3 patch consisted of resolving several support forums issues that players were vocal about along with stability fixes across the game. Most notably, a fix for a crash in Spartan Ops Episode 9 chapter 1 was deployed so players should no longer encounter this problem. The Oct 10 patch included multiple matchmaking playlist setting changes to address some oddities and inconsistencies flagged by the community. The team is currently targeting two more updates for October - though these plans could change depending on development progress, testing, and numerous other variables the team has to manage and juggle. The next update is tentatively targeted for this Wednesday, Oct 17, and will bring Infection back into matchmaking along with a very special Flood Nameplate (additional details below!). The fourth and final update for the month of October is tentatively targeted for the 31st, but could shift to early November based on development progress. This patch will include more bug fixes, the new features discussed in this blog, and additional quality of life improvements. Since the September update we’ve, heard from a lot of players regarding the bright red player names that appear in H:CE and H2 so the team is working on a toggle to let you choose between either the current red or swap to the classic blue text of the original titles. We hope to get quality of life improvement into the retail build by the end of the month but it could be a bit later - either way, player feedback has been heard and this improvement is on the horizon. We’ll share additional details on fixes and patch specifics later this month but you can always stay up to date on known issues and bugs the team is investigating via the MCC Support Trello Board. Infection is a fan-favorite gametype that many players have been vocal about since it was removed from Matchmaking in the August update. With Halloween approaching and October being a month typically known for Infection in the Halo Universe, the team wanted to do something special for its return! From Wednesday, October 17 through Wednesday, October 31, everyone who plays in the Infection playlist will earn a new lobby nameplate. The Infection nameplates will start rolling out in early November. In the meantime, we look forward to playing Infection with everyone starting this Wednesday. Keep an eye out for an official playdate later this month to jump in and infect members of the 343 team! With five different multiplayer games in MCC, it’s very challenging to offer enough playlists to meet the wants and needs of so many different styles of play. To accommodate every gametype and mode for each title would require dozens of individual playlists – something that just isn’t practical in a world where we want to ensure players can successfully find matches and maintain a positive overall matchmaking experience. To better support the broad diversity of game types available within MCC, the team is building a new social Matchmaking option that allows players to essentially “build their own playlist” by picking the games and modes you enjoy the most. This system, often referred to in the community as “mixtape matchmaking”, is one of the most requested features and the team is excited to bring this to MCC in the very near future. Once released, Match Composer ( name that is subject to change) will appear as the top most option in the Multiplayer Settings menu as shown in the screenshot below. With this feature’s addition, we will be retiring Social Matchmaking playlists under the “Find Game” option. This new feature will allow for quick matches similar to previous playlists through the use of presets and by customizing your own play experience. The Match Composer allows you to pick the game size, game(s), and gametype(s) you want to play and matches you into social games with other players who’ve chosen the same selections. The more options you select, the more possible games and gametypes you can match into. If you only want to play Halo 3, 2v2 Slayer you can select those options and search only for that. An important caveat to this flexibility is that there is no guarantee that you’ll quickly find a match (or if you’ll even find a match at all) when restricting your choices to more niche options. The more you limit and refine your search criteria, the more you shrink the pool of potential players to match. This is something the team will be watching closely and once this feature rolls out in an Insider Build, we’re very eager to get player feedback on how everything works and how it holds up under different populations and regional usage. The Match Composer lets you choose from a series of pre-set options or allows the “Custom” option where you can define your social matchmaking preferences by making a series of selections to then search and find other players who are also searching with the same selections. 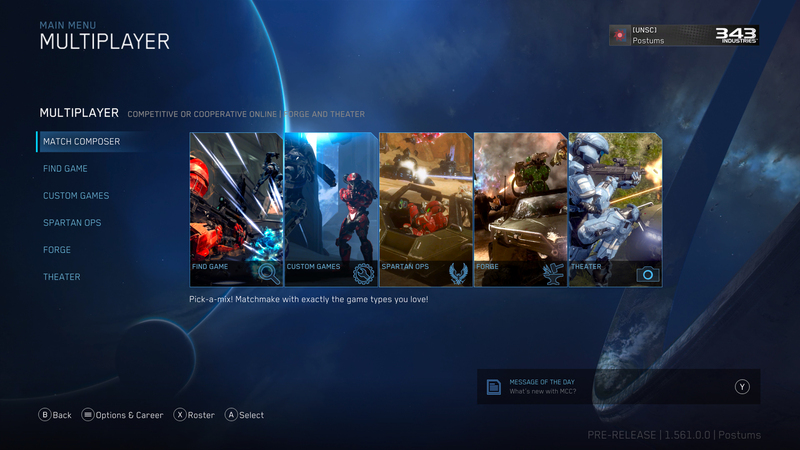 From MCC’s Multiplayer Menu, select “Match Composer” to get started. Team Slayer: 4v4 Team Slayer for all Games. Big Team Battle: 8v8 Team Slayer and Objective game types for all games. Team Objective: 4v4 Objective game types for all games. Infection: 12 player Infection based game types. Custom: This is where you can define the exact experience you wish to search for across any of the potential options. Not all game types support all game sizes – some game modes, like Infection, will only work when 12-player is selected. If you do not see the mode you want to play – make sure the game size is correct for the game types (more information down below). From here, you will select which game in MCC you want to play. If you are unable to select one of the games, this is likely due to not having the necessary content installed. You and your party members will all be required to have the multiplayer content for a specific Halo game installed in order for it to be selectable in Match Composer. Game selection includes the following multiplayer options, which will be represented by their associated game icons. Please note that not all game types are available for every game in MCC. If you do not see the game type you want to play, it is likely you have not selected the appropriate Game Size and/or Game(s) to play it. 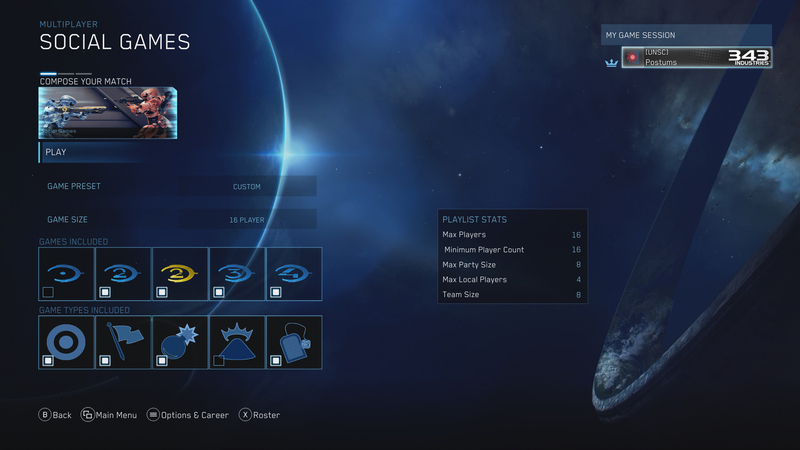 The initial game types that will launch with the Match Composer include popular options from MCC’s social playlists. To play any of these game types, you simply select the associated icon and press the “search” button. Not all game types are supported by all Halo titles in MCC. If they are not selectable, this is due to it not being available in the Game Size or Game(s) configuration you have selected. This matrix of choices will be present in MCC when the Match Composer launches. We are continuing our process of listening to player feedback around the feature once it is in the wild. Our goal is to offer the most currently-popular modes while not making the system overly complex and over saturated with options that can split the population and degrade the matchmaking experience. Once live, please leave feedback on the Match Composer and let us know how it’s working for you, if there are options that should be included, and any other input you have to help the team further improve this feature. Why can’t I select the Maps I want to play? We are not including map-specific selections in order to keep this feature from becoming overly complex and more importantly, to avoid introducing multiple layers of settings that splits players into even more niche groups when searching. Having too many layers of choices can lead to more possible scenarios of players finding it harder to match successfully. Players who really only want to play on a specific map will want to play Custom Games for now (the “Looking for Group” feature on Xbox is a great way to find other like-minded players). As a reminder, a robust Custom Game Browser is still planned for MCC a little further down the road. Why doesn’t the Match Composer support Ranked Matchmaking? The Match Composer is only being offered for social play since the underlying systems used for ranked playlists were not built to support this style of matchmaking. If the team were to focus on rebuilding the foundational systems to support ranked play – which is far from trivial - it would significantly delay other features and quality of life adjustments the team is working on for MCC. That’s not to say it will never happen, but currently there are no plans to integrate Ranked play into the Match Composer. In addition to the Match Composer, the team is also implementing expanded controller customization options to allow players to better fine-tune their experience. While many players have expressed that MCC “feels great”, other players have been vocal that some games within MCC don’t “feel right” compared to the Xbox 360 originals. The game code itself is identical between the OG and MCC versions of each title but the “feel” can vary based on a number of factors including TV / HDR latency, 60FPS frame rate, online latency, and the nuanced differences between the Xbox 360 and Xbox One consoles and controllers. With the addition of these new controller customization settings you now have additional options to adjust input, movement, and aiming to suit your personal preferences. Horizontal Look Sensitivity: This is adjustable from the slowest setting of 1 all the way up to fastest setting of 10. The lower the number selected, the slower your cursor will move horizontally when moving your analog stick left to right. The larger the number, the faster movement will be. Vertical Look Sensitivity: This is adjustable from the slowest setting of 1 all the way up to the fastest setting of 10. The lower the number selected, the slower your cursor will move vertically when moving your analog stick up and down. The larger the number, the faster the movement will be. Look Acceleration: The ‘Look Acceleration’ setting determines how long it takes to reach maximum turn speed while the stick is fully engaged (held to the edge of its range of movement). There’s a bit of a ramp-up from when you start turning until you reach max speed. A higher acceleration value means you’ll hit max speed faster compared to a low value. This works together with your look sensitivity settings to give you more control over aiming. For example, in Halo 3 on 6 sensitivity and 1 acceleration, it currently takes 1.33 seconds to turn 360 degrees horizontally. With the same sensitivity and 10 acceleration, it takes 1.07 seconds. The max turn speed (dictated by look sensitivity) is the same in both cases, but the time it takes to reach that speed (dictated by look acceleration) is decreased. This setting supports granularity of 1 point (meaning it can be tuned in increments of 1) on a scale from 1 to 10. Look Dead Zone: The ‘Look Dead Zone’ setting allows players to adjust how far they must move their thumbstick from its point of origin before the input registers. At a low setting, very subtle movements of the stick will be picked up; at a high setting, the stick needs to move slightly farther before the input is picked up. Players with worn thumbsticks may wish to increase their dead zones to prevent idle “thumbstick drift” (where input is picked up even when the stick is at rest). Players can tune this setting to best fit their controller. Currently, this setting supports granularity of 1% on a scale from 0% to 20%. 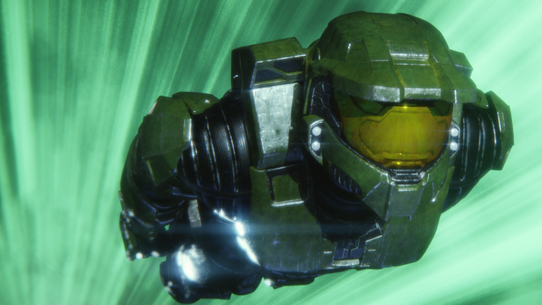 The team is currently planning to release in-progress versions of the Match Composer and Controller Customization features via an MCC Insider build this month. We are targeting to have the Insider Build available later this week (Oct 15) to allow players an opportunity to help play, test, and provide feedback on these new additions to MCC. What are the goals of this MCC Insider Build? The key goals for October’s Insider build are to verify feature stability at a much larger scale and receive feedback from players on the all new Match Composer Social Matchmaking feature and enhanced controller customization options. We have played with these new features internally, and have done some smaller scale external testing with the Reclaimers (a small community-driven strike force of diehard MCC players), but we really want to get these in front of the broader community to preview and give feedback. Doing so will allow us to address any issues and further refine these features prior to the official retail release. 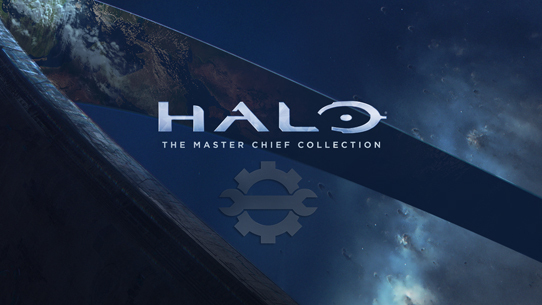 Anyone who digitally owns Halo: The Master Chief Collection and those who were previous members of the MCC Insider Program will have access to the build once it releases the week of Oct 15. The team is working through some final release details and dependencies and we'll spread the word as soon as the build is ready for download. Additionally, we are working on allowing MCC Insider build access in the future for everyone who has an active subscription to Xbox Game Pass. You won't be able to get in quite yet, but we hope to have this sorted out very soon and look forward to welcoming all of the Xbox Game Pass subscribers into the MCC Insider program! 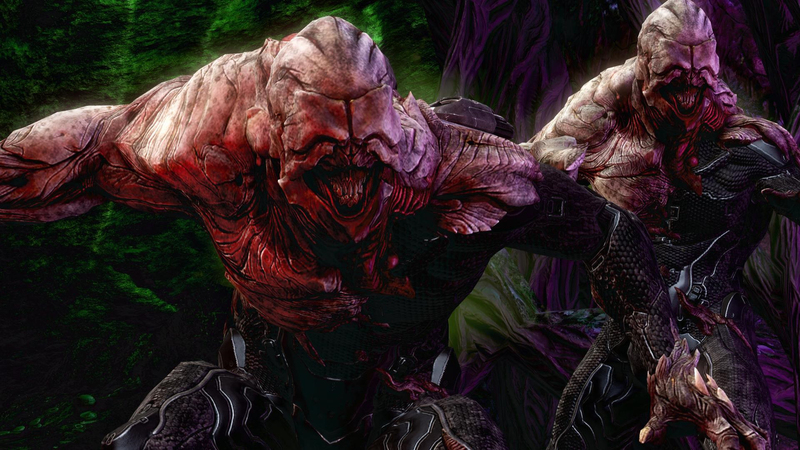 How do YOU get the Halo: MCC Insider build? When and what should I play with this new Halo: MCC Insider? How do people give feedback? Stay tuned the MCC Forums here on Halo Waypoint. New official feedback forum threads will be created prior to the start of the 10/19 MCC Insider play session. There are additional features the team is actively working on building such as the Custom Game Browser, PGCR Improvements, and other things that we can’t talk about quite yet. We can confirm that team is still hard at work bringing the Custom Game Browser feature to life, but there is much work to be done before it becomes a reality. Such a feature requires extensive planning, UI work, programming, and implementation to support the full feature set that the team is aimingimg for. They’re working hard on it, but it is a long-term deliverable that we are aiming to deliver in the future when it is ready. In the meantime, the Match Composer is a great step towards giving more choices to find matches, but we know the Custom Game Browser will be the ultimate tool for finding the exact experience you want to play. Should you not find options for what you want to play available in the Match Composer we would like to remind players that you can make use of the “Looking for Group” option on the Official Halo Club on Xbox. This is a great way to find like-minded players to play very specific bits of content in MCC! I’ve been sowing the seeds which will enable legacy UGC files (game/map variants) from the Xbox 360 to work in MCC. The largest hurdle is actually with Halo 3, due to the way it stored game and map variants. In addition to optionally being compressed (when larger than a certain threshold), they are saved in a format specific to the Xbox 360’s PowerPC architecture. Where the Xbox One and most modern day PCs have processors that deal with data in “little endian” byte ordering, the PowerPC deals with data in “big endian” byte ordering. These two things cause legacy UGC files to be directly incompatible with MCC out-of-the-box. New code had to be written to decompress these files. Why? Well, the decompression code that the legacy games used lived in user interface code that we don’t support/maintain anymore for MCC. Now, we have some fairly independent utility code for dealing with compressed UGC data from legacy environments. For the endian byte ordering issues, we have to perform a process called byte-swapping. This is a rather specific process to do, as it depends entirely on what types of values you’re using. So any code structures that are saved into the UGC files we had to add explicit byte-swapping support for. Thankfully, later games changed the way things worked to be a bit more endian agnostic. Now, I hear you asking “so when can I start using my legacy UGC files?”. We hear you, we think it would be great one day to be able to somehow import *your* legacy file share UGC. *However*, for now this is entirely a dev-only feature. Meaning we can use it to manually take legacy UGC and put them in our matchmaking hoppers. The ability for MCC to even talk to your legacy file shares is just not a thing right now and is not trivial to setup. It’s also not trivial to setup a migration process. So, for now it’s just one step at a time. 1. Classic sounds. Importing these require some Saber3D tools to be brought back to life. The engine is very different from the Halo engine so there’s a non-zero engineering tax for this work. It’s not as straight forward as A) copy the classic sounds B) press a button to rebuild sounds C) push out an update. If it was, we would have included it in the first update earlier this year. 2. Halo Custom Edition. In order to properly support Custom Edition, it requires re-adding texture systems to the Halo engine in H1A for DirectX 11. I worked on a prototype of this earlier in the year, but it still doesn’t solve for the other issue which are sounds. Custom Edition was PC only, and it uses audio codecs like oggvorbis which you would normally not use on the Xbox One. In the event that we want to support a Custom Edition map with sounds that never shipped in Halo 1, we need to re-enable parts of the old sound system in the Halo engine, plus support decompressing/playing the sounds in a way that works with H1A’s FMOD implementation. This work is still ongoing. 3. Classic maps. Given that H1A is based on the HaloPC port, there are a number of things which don’t match legacy Halo 1. In the community, there’s a project called Halo CE Refined looking to correct as many things as possible: https://www.reddit.com/r/HaloCERefined/. We’re on the same page and want to work out the kinks that make MCC’s Halo 1 maps and levels not match the classic version. This work ranges from balance tunings in weapons/multiplayer objects, textures/shaders using settings that cause deviation, and even different level geometry. Right now I’m in the investigation process of this work. This involves doing a “diff” of the original game’s content with what’s in HaloPC/MCC, which by itself has called out some head scratchers. I’ve also been talking with some of the people that have dedicated their time working on Refined to address mismatches. There’s more Quality of Life work that can be done for Halo 1 that is rather low hanging fruit. There’s some additional game variant options that are in Halo 2 that would be not entirely difficult to re-engineer into Halo 1. For instance, the King Of The Hill move timer, or Flag Carrier traits. While we’ve already enabled the Blind Skull for Halo 1, there’s still plenty more skulls for us to polish and release to you all. The same can be done for Halo 3 and beyond, given that they don’t have the likes of Bandana. Internally, we’ve also discussed the idea of new skulls. We’re not keen on the idea of always making the game harder, so one crazy wacky idea I threw out on the proverbial floor was a skull which basically enables your NPC allies to be invulnerable. But this is crazy wacky for a reason: who knows what encounters it could break in the first pass (cinematics come to mind if we’re not careful), or what conditions in the game scripts that would possibly need retuning. I’m not saying we’re committing to any or all of this, but these are the sort of things we have in our head for Quality of Life improvements that give you new ways to play the game you’ve already been playing for…*looks at watch*…almost 20 years. Other aspects of supporting things like Halo Custom Edition maps are some code and data refactory work to make it far more trivial to add or otherwise define new maps. This requires redoing some things into better abstractions in our UUI frontend plus in the way the games communicate with the UUI. Also, since the September update we’ve heard from a lot of players who really don’t like the bright red player names that appear in H:CE and H2. So, the team is currently working on a toggle to let you choose between either the current red or swap to the classic blue text of the original titles. We would like to thank the community for being vocal in our forums and giving detailed feedback on things you want to see and issues that you are having with MCC. The team is hard at work continuing to address feedback that is coming directly from the community. To give some insight into this process, know that we are listening, and we are reading your very detailed feedback on the support forums and feedback threads on Halo Waypoint. We have members of both the Development Team and Community Team that actively monitor, read, and generate reports that discuss items that are voiced from the community daily amongst the team. Not all issues or concerns however are equal in impact and many bug fixes and feature changes are prioritized and addressed in updates for different reasons. A great example of prioritization and planning fixes for MCC updates is the reported bug of "water not rippling in Halo 4 when a Warthog drives through it." A fix for this has been made but has not been incorporated into an update due to the impact it has on file size. To deliver this fix in a game update, ALL maps in H4 with water must be rebuilt and re-integrated which translates to everyone having to re-download them in a sizable patch. Meanwhile, there are other bugs that also require maps to be rebuilt that are not currently resolved. Rather than take this one bug fix and release it in multiple separate updates forcing you to re-download the maps repeatedly the plan is to hold these fixes so they can all come in a future update collectively. For issues that you are encountering, please make use of the Halo Support Forums. We greatly appreciate hearing from you so please keep the talking and we will keep listening. 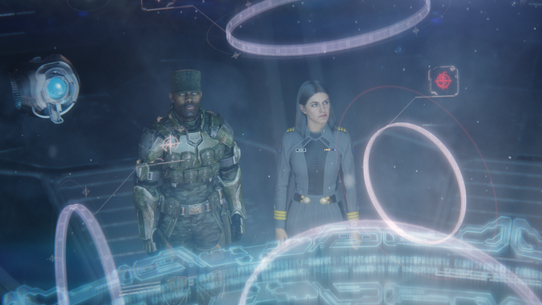 MCC September Update – Read about the most recent changes, fixes, and upcoming features planned that was released on September 20. Again, thank you to everyone for continuing to voice constructive feedback and reporting any issues you encounter! We very much appreciate it as we continue to work on improvements for Halo: The Master Chief Collection. As always, we will see you online and look forward to playing Infection and checking out the Match Composer together in the MCC Insider build!